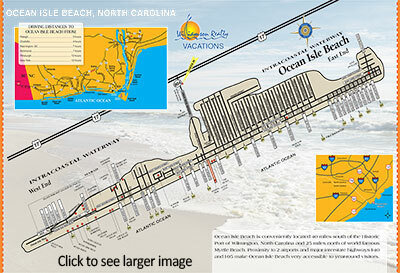 Welcome to Williamson Realty Vacations providing Vacation Rentals in Ocean Isle Beach on the North Carolina Coast. As one of the area's largest Ocean Isle beach vacation rental agencies, we are able to offer a wide range of rentals. Choose from among over 260 Ocean Isle Beach rentals for your perfect vacation accommodations. All properties have minimum stays & other certain restrictions. All properties are smoke free. Linens, towels & beach equipment can be provided for your vacation. These items are listed under Available Extras. All rates listed are deemed accurate, but are not guaranteed. We will call you to confirm & finalize your reservation within 24 hours of booking online. We look forward to seeing you in one of our Ocean Isle Beach rentals from Williamson Realty Vacations!